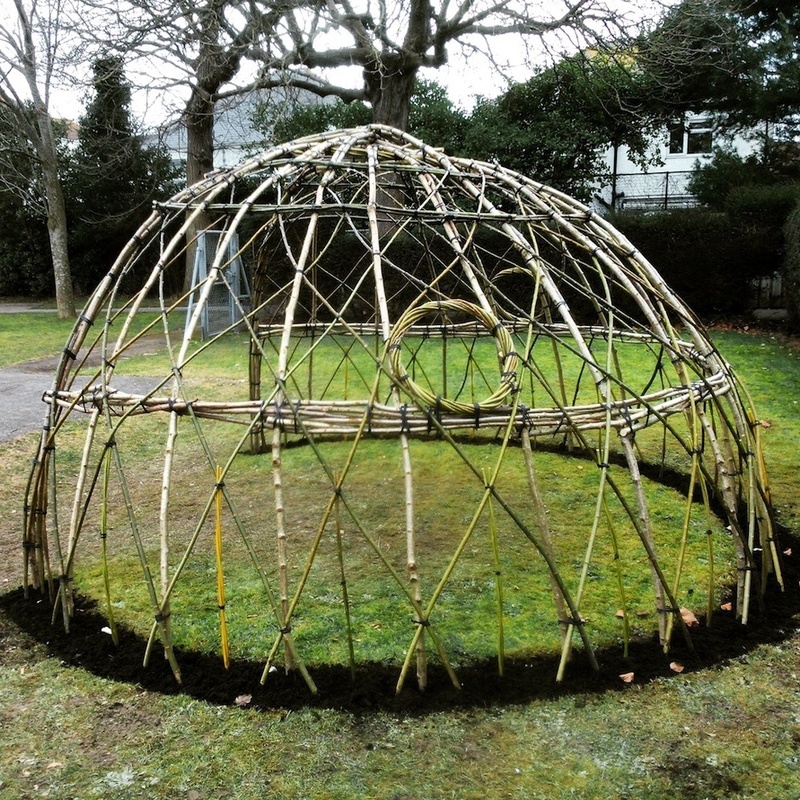 The first few days of February's half term holiday were spent helping to build a living willow dome in Worthing's Beach House Park. 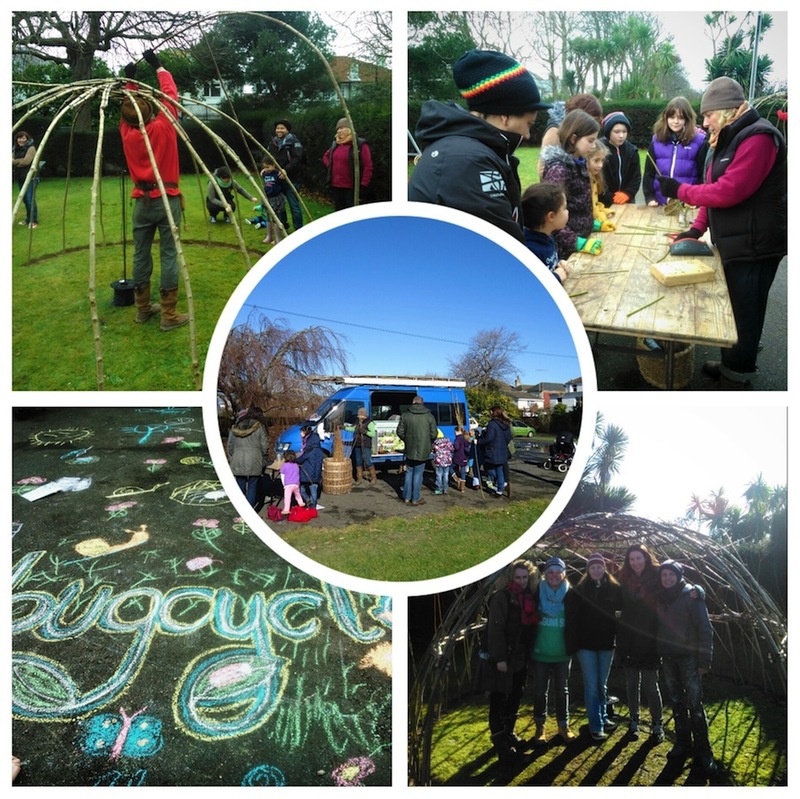 This family-friendly project was part of BugCycle an initiative run by community arts organisation Creative Waves in partnership with Worthing Wildlife. 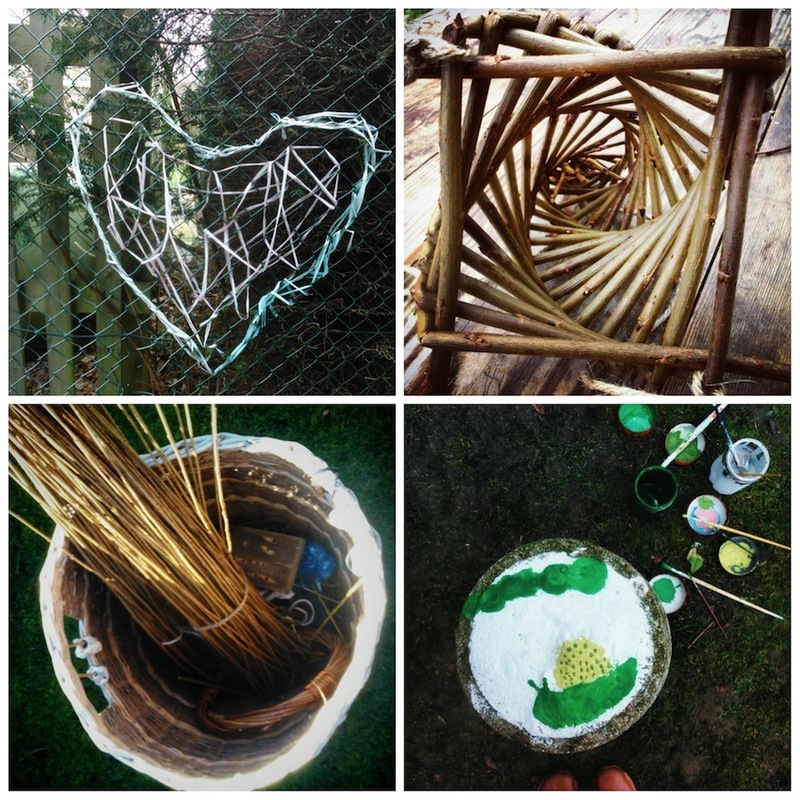 BugCycle aims to bring wildlife, planting, crafts and colour to an underused space in this beautiful park. 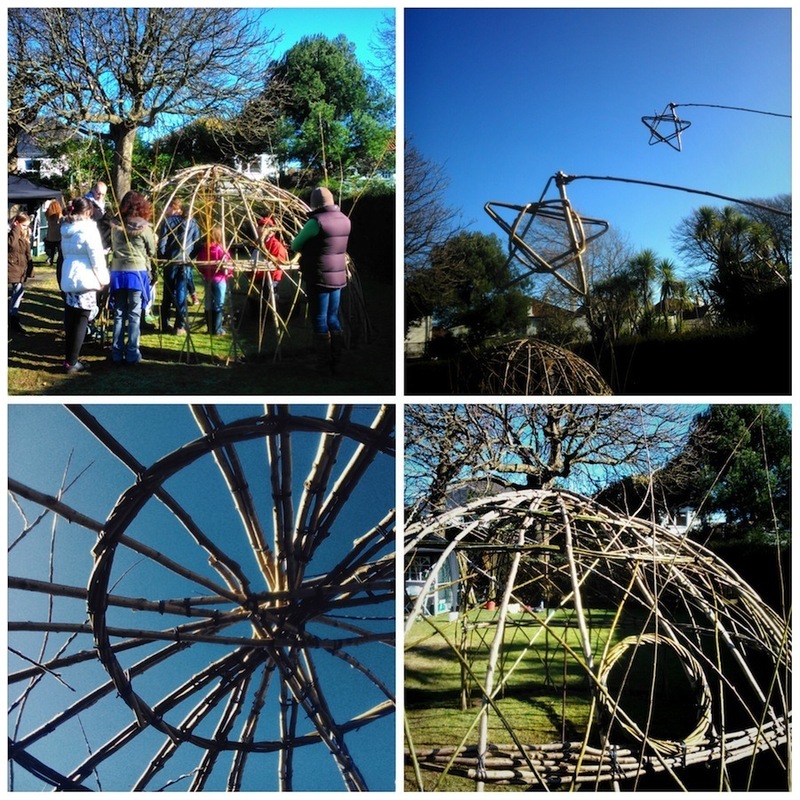 Willow crafting team extraordinaire Ganesh and Elaine of Creative Willow led the construction of the dome and taught us how to make bird feeders, stars and living willow pencils. 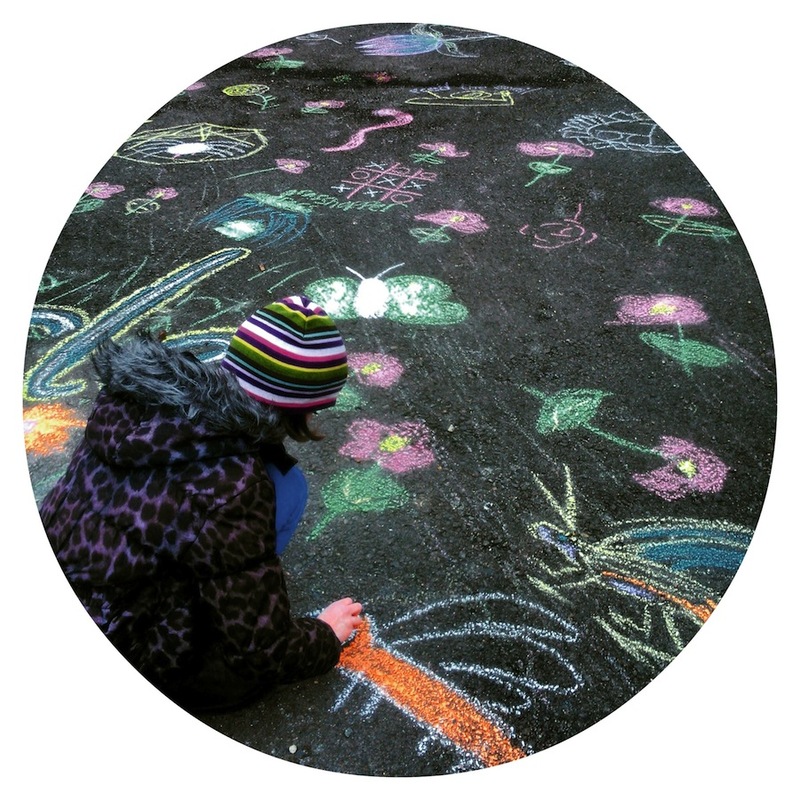 Children were encouraged to decorate the area with chalked drawings and crafts. Happily the BugCycle team provided hot drinks and biscuits which nicely took the edge off the winter chill as our kids were having too much fun to want to leave! 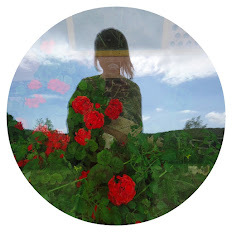 Beach House Park is a place I walk through every day – with tree lined paths and herbaceous borders it's a haven for birds and wildlife as well as the site for Nancy Price's Pigeon War Memorial. For years the park was famously home to the Bowls England National Championships, an event that packed out the park every summer. Controversially this flagship tournament moved to Leamington Spa last year amid local mutterings that Worthing Council should have done more to hold onto what had been an acclaimed and lucrative event for our town for over 40 years. The loss of the tournament (and revenue) has already signalled changes in the park with the vast, colourful flower beds that ran through the central avenue being dug out and replaced by large green tubs of low maintenance shrubs. While these are still pretty they're not a patch on the spectacular floral displays that greeted visitors to the park during the Bowls Championship years. BugCycle hopes to breathe life into neglected areas of Beach House Park again and I'm sure will help attract many new visitors – human as well as insect! 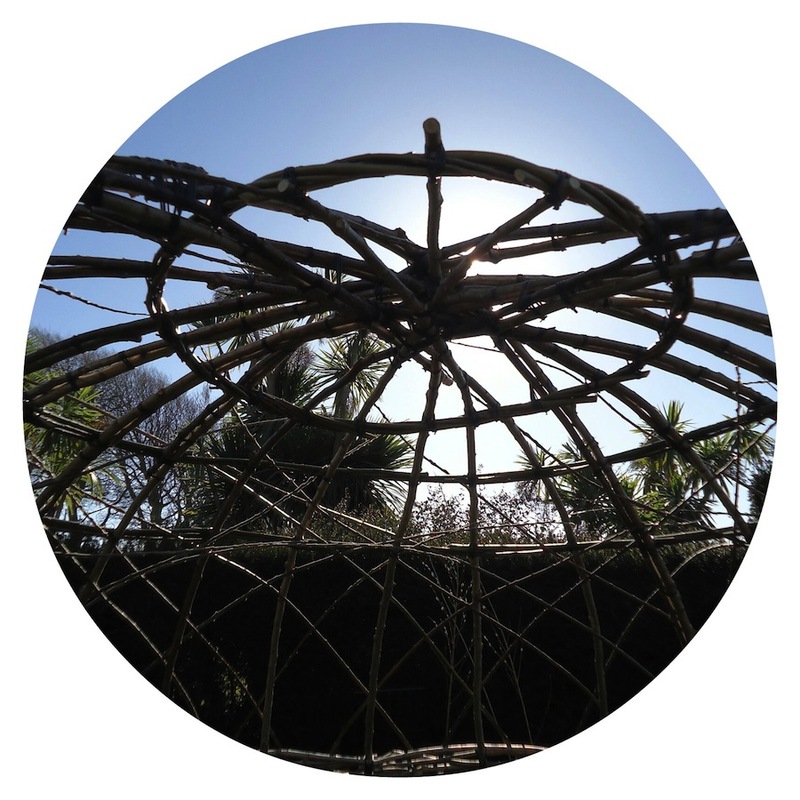 I look forward to seeing the project grow, especially the living willow dome.